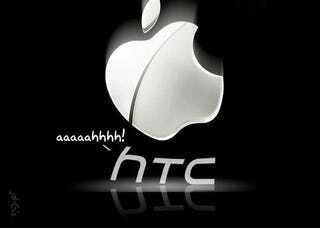 The ITC has agreed to investigate Apple's complaint against HTC. It'll be a long process, and this in no way indicates how the ITC might eventually rule, but an Apple victory could mean a US ban of HTC phones. The suit is a sweeping accusation of patent theft, and a ruling against HTC would likely have broader implications on the rest of the industry as well. Within 45 days, the ITC will set a target date for when the investigation will be complete—and for a case of this magnitude, that would likely be months from now. Any actionable ruling would have to be implemented within 60 days of that ruling. A large-scale ban would have to be implemented by the courts, and is probably unlikely. If it does happen, though, they'll have to pry the Evo 4G out of my cold, dead hands. The U.S. International Trade Commission (USITC) has voted to institute an investigation of certain personal data and mobile communications devices and related software. The products at issue in this investigation relate to hardware and software used in mobile communication devices, including but not limited to cellular phones and smartphones. The investigation is based on a complaint filed by Apple Inc., f/k/a Apple Computer, Inc. and NeXt Software, Inc. f/k/a NeXt Computer, Inc., both of Cupertino, CA, on March 2, 2010. The complaint alleges violations of section 337 of the Tariff Act of 1930 in the importation into the United States and sale of certain personal data and mobile communications devices and related software that infringe patents asserted by the complainants. The complainants request that the USITC issue an exclusion order and a cease and desist order. Exedea, Inc., of Houston, TX. By instituting this investigation (337-TA-710), the USITC has not yet made any decision on the merits of the case. The USITC's Chief Administrative Law Judge will assign the case to one of the USITC's six administrative law judges (ALJ), who will schedule and hold an evidentiary hearing. The ALJ will make an initial determination as to whether there is a violation of section 337; that initial determination is subject to review by the Commission.